Walsall's newly-appointed First-Team Manager Jon Whitney has spoken to club journalists, and has admitted that he may be forced to rebuild the squad this summer as several players are set to be out-of-contract in the coming weeks, but is confident that he and his coaching staff will be able to unearth suitable replacements if required. 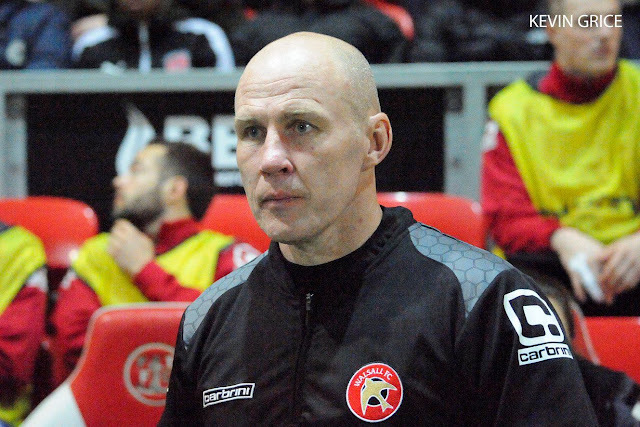 Speaking via Saddlers.co.uk, Jon said; “Last year we only added three or four players in the summer as we had a settled nucleus of the squad. It will be different this year. The amount of players out of contract means we won’t be able to keep every one of them. “We need to be ready and be flexible. The main buzz word for us this pre-season is ‘adapt’. We know the ethos of the club and I’ve already started to make changes around the place. I’ve got a good eye for players, so have Dean Holden and Neil Cutler, and we understand the young, energetic targets with huge potential that we’re after.